A funeral cross massed in white and edged in ribbon. With spray of choice flowers. Alternative colours available. 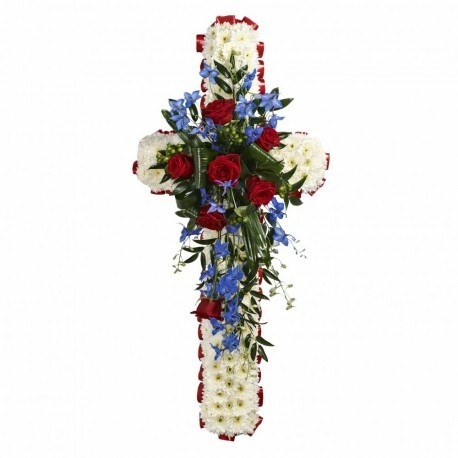 24" Â£65 / 36" Â£105 / 48" Â£145 This type of funeral arrangement needs at least 1 working day's notice to deliver. It may not be possible to make and deliver an item like this same day.